The good news is our reservoirs are full but the bad news is after all the rain we have had in the past month the river is to high to effectively do the cleanup below the De Soto Ramp on this Saturday, October 18.Westar’s Green Team was bringing a line truck to lift heavy objects over to the ramp where a skid loader would transport heavy items up the ramp to dumpsters arranged for by the city of De Soto. We so appreciated both Westar and De Soto for helping us plan this and we will RESCHEDUAL most likely in March. Many of Friends of the Kaw’s group float trips start at the De Soto ramp and cleaning up this area will give float participants a better first impression of the river. We are grateful for the efforts of the City of De Soto and Westar Green Team and also a grant from REI to accomplish this clean up. 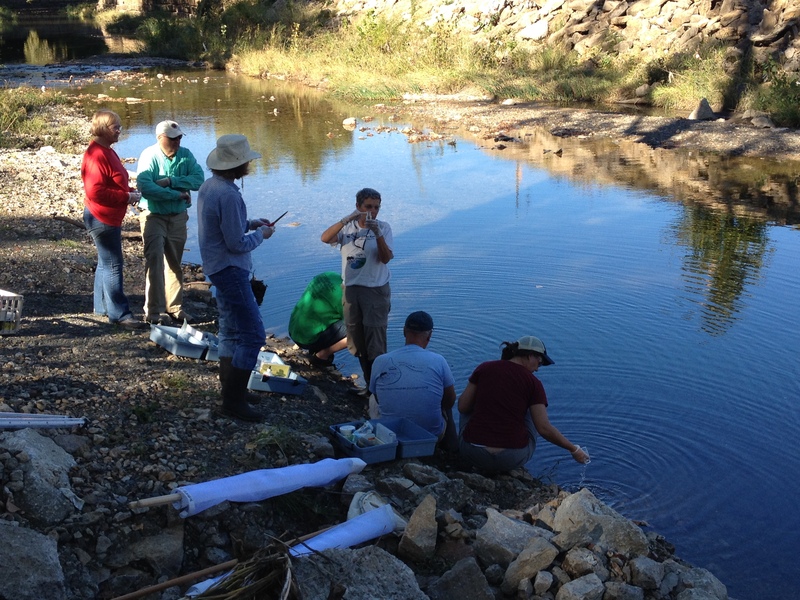 Volunteer Water Monitoring Training – IS STILL ON! Friends of the Kaw is hosting a second 3 hour, hands-on, super fun volunteer training session on Saturday, October 18 from 1 to 4pm at the De Soto Access Ramp. In this training, you will conduct both chemical and non-chemical water monitoring tests. You will seine for macroinvertebrates and learn to identify them. You will measure impervious surface area and determine runoff volumes. You”ll have lots of fun and you might even accidentally learn something! Most of the training will be outside at a water site so please dress appropriately and wear shoes that can get wet! Lunch will be provided at 12:30pm. We are training volunteers to help us with our new Kids About Water (KAW) project that we will implement in middle school and high school classes this year. We had six people attend the session on Oct. 7 and all had a great time. 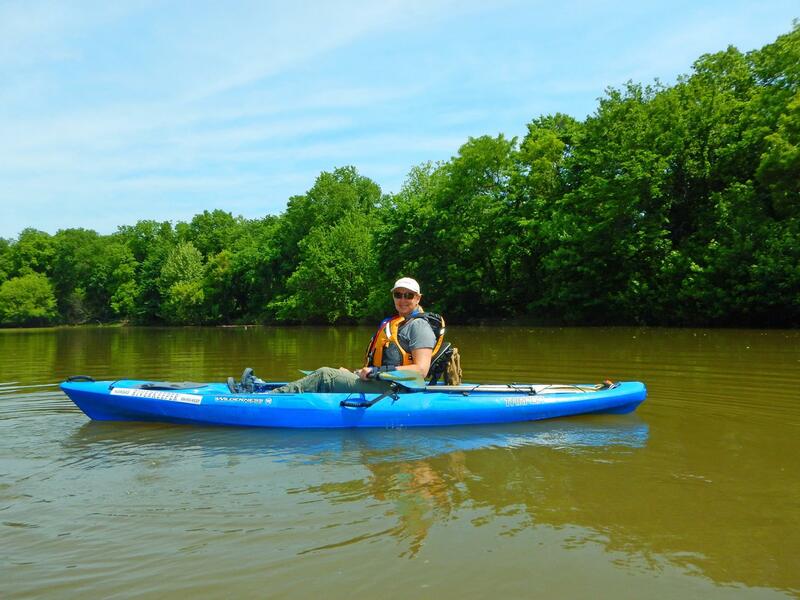 For more information or to RSVP contact the Kansas Riverkeeper! Take Immediate Action! Time is short! Don’t let politics trump science. On October 16, the Department of Wildlife, Parks and Tourism will determine the future of nongame wildlife in Kansas. The Commission legally responsible for conservation of wildlife in Kansas is being asked by KDWPT Secretary Jennison to remove protection for the harmless redbelly snake strictly for political and economic reasons. For 40 years, identification and protection of threatened and endangered species in Kansas has been based on science. If the Commission approves delisting for political reasons, the Kansas wildlife protection act will be gutted. A precedent will be established that will put some 60 currently listed species in Kansas at risk. We simply can’t let this happen. Take action for Kansas critters. Tell the KDWPT Commission to retain threatened status for the redbelly snake on October 16. Allowing politics to trump science is unacceptable. A recent survey concluded that over 90% of Kansans support protection of nongame species and their habitat.